Expectations: Super low. Not a fan of the Gingerdead Man. 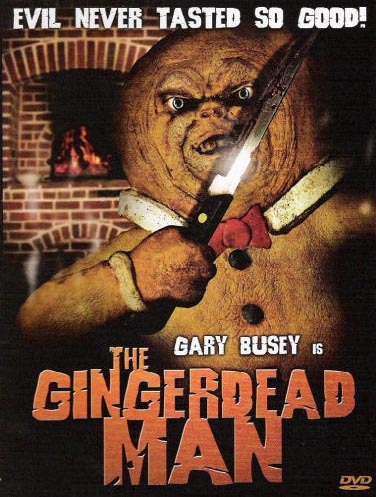 The Gingerdead Man series is one of my least favorite Full Moon franchises. The first film was absolutely awful, and while the second film is much better, it’s still pretty far from being anything I’d actively choose to re-watch. My dedication to reviewing every Full Moon film is strong though, so I soldier on to bring you a review of the latest entry, Gingerdead Man 3: Saturday Night Cleaver. Simply put, it’s bad, but fortunately for me it’s closer to the second film’s tone and quality so the film at least has some entertainment value. 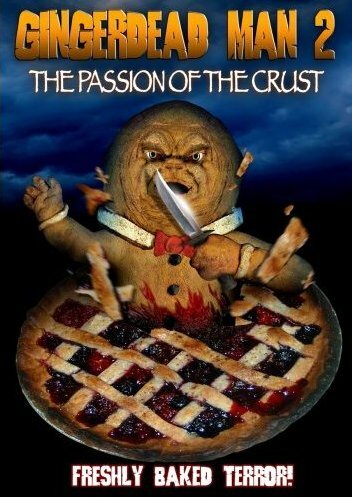 The film opens with a blatant rip-off scene from Silence of the Lambs, where Clarissa Darling (get it– Jodie Foster was Clarice Starling) travels to the Scientific Research Institute for the Study of Homicidal Baked Goods to meet with the Gingerdead Man. Now if I remember correctly, Gingerdead Man was crucified by a team of Puppet Master knock-off puppets at the end of Gingerdead Man 2: Passion of the Crust, but as I’ve said before, continuity has never stood in Charles Band’s way of a good/bad movie. In any case, the cookie killer escapes into the Institute’s time travel wing that just so happens to have developed a time travel device for food transportation. Gingerdead Man jumps in and transports himself back to 1976 in the middle of a roller rink. So theoretically this means that the research institute on the hill shown at the beginning of the film is on the site of the old roller rink. Whatever. I understand that these movie are not meant for intense critical examination, but I like to amuse myself by applying logic to them and making the plot somewhat more complex than it should be.